Qsymia Diet Pills Review: Do They Work, and How? 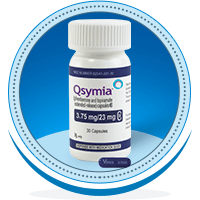 Qsymia is one of the most efficient diet pills available today. It is a phentermine- and topiramate- based diet pill which has been approved by the FDA. Qsymia is prescribed to treat obesity, especially for patients who are dealing with associated health-related issues such as high diabetes, cholesterol, or high blood pressure. Qsymia contains phentermine, which works as an appetite suppressant. According to studies, phentermine causes the release of norepinephrine in the brain, which increases blood concentrations of a hormone called leptin that regulates appetite. Another ingredient found in Qsymia is topiramate. Topiramate is prescribed in other medications to treat migraines due to its anticonvulsant properties. Qsymia is usually prescribed to patients who are considered obese and are struggling with various obesity-related health issues like as diabetes or high cholesterol. Qsymia should not be taken without a doctor’s prescription, due to its potential side effects and habit-forming properties, and danger for pregnant women. The side effects of Qsymia include mild effects such as dizziness, dry mouth, constipation, and numbness, as well as more severe side effects including vision problems, problems with speech and memory, seizures, dryness, low blood sugar, irritability, vomiting, irregular heartbeat, and kidney stones. Qsymia should be taken according to a doctor’s prescription. Typically, the initial dose of Qsymia should not exceed 3.75 mg of phentermine and 23 mg of topiramate. The patient should take it once a day for 2 weeks, after which the dosage should be increased. An evaluation should be conducted after the end of an approximately 3-month period. If the patient lost less than 3% of bodyweight during those 12 weeks, an increase in the dosage should be taken into consideration, or the entire treatment should be discontinued. During your appointment regarding Qsymia use, make sure to mention if you are suffering from glaucoma or have an overactive thyroid, and if you have a history of kidney stones, liver disease. Also tell your doctor if you are pregnant or are planning to become pregnant. Be sure to list what medications you are currently taking, especially isocarboxazid, linezolid, methylene blue injection, phenelzine, rasagiline, and other MAO inhibitors. Qsymia has received mostly positive reviews; however, a few users reported to have experienced minor side effects. Here are few users’ quotes that summarize Qsymia’s efficiency. If you are experiencing significant difficulty losing weight and are suffering from associated health problems, talk to your doctor about Qsymia.